The Ministry of Agriculture and Rural Development (MARD) has issued a circular on the promulgation of a list of wild fauna and flora species regulated in appendixes of the Convention of International Trade in Endangered Species of Wild Fauna and Flora (CITES). Before the document was issued, the ministry informed relevant organizations and individuals in writing about the application of CITES’s appendixes and posted those on the web portal of the General Department of Forestry. Nguyen Ba Ngai, Vice Director of the General Department of Forestry said the amendments and supplements to appendixes of CITES were performed under regulations in Article 15 of the Convention. 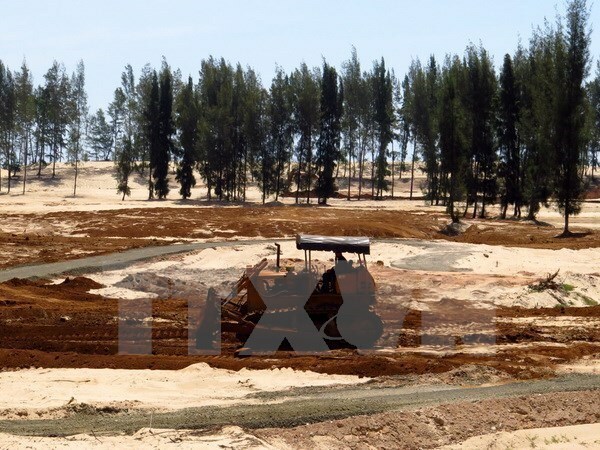 As CITES’s revised appendixes will make it difficult for enterprises to apply the convention and relevant regulations, the General Department of Forestry will closely work with the Vietnam Timber and Forest Product Association to gather feedback for strictly implementing legal regulations and the CITES on CITES certificate. Ngai affirmed that that his agency always facilitates the legal wood trading of organizations and individuals. The CITES Management Authority of Vietnam was assigned to work directly with organisations and individuals to clear up relevant queries, he added.